The Dalite 16 x 27'6" Masking Panel is for the Fast-Fold Heavy Duty Deluxe and Truss Frames. 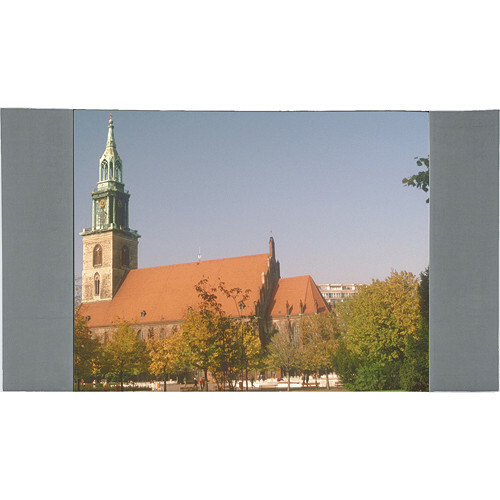 Fast-Fold Drapery Masking Panels allow a standard HDTV Fast-Fold screen to be properly masked to a standard NTSC Video format - in effect doubling the functionality of the screen. The Masking Panels simply touch fasten into place at the top of the screen and snap into place to the positioned snap studs along the binding of the screen. Box Dimensions (LxWxH) 47.25 x 13.0 x 11.0"